Diabetes education classes near me. Yakima diabetes education classes. Our core purpose is to inspire people to thrive. Virginia Mason Memorial is committed to creating a healthier Yakima through educational and preventative measures. We are committed to helping those at risk of developing diabetes gain the skills and confidence needed to successfully lower their risk factors. All classes are available in both Spanish and English. Prediabetes is a condition where the blood sugar is higher than normal, but not high enough to be diagnosed as type 2 diabetes. 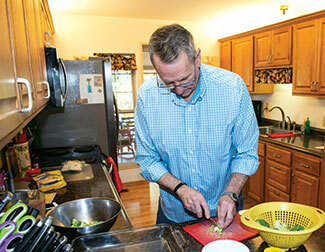 Memorial's prevention program helps people lower their risk of type 2 diabetes. Participants meet in groups with a trained lifestyle coach for 16 weekly, one-hour sessions and seven monthly follow up sessions. Are you an overweight adult? Do you have family members with diabetes? Have you had gestational diabetes during pregnancy or did any of your babies weigh 9 lbs or more at birth? Have you ever been told you have high blood sugar, prediabetes, or borderline diabetes? If you would like to learn more about this program, you can attend an orientation on the last Monday of each month from 4-4:30 p.m. at Memorial's Community Education Center at 2506 W. Nob Hill Blvd. No registration is necessary for the orientation. As the Yockeys grew older their waistlines grew larger. Roger's doctor saw signs of prediabetes and recommended the program. His wife, Marilyn, went in support. He's lost 100 pounds. She's lost 65. Their active retirement lifestyle has become active once again. Diabetes Prevention Support Sessions include review topics presented by your lifestyle coaches to provide additional support and accountability for your goals. Monthly on the second Monday of each month, 1-2:00 pm (opportunity for weigh in at 12:30 p.m.) Virginia Mason Memorial Education Center, 2506 W Nob Hill Blvd, Yakima.No registration necessary.